Hello, I received the microphone I ordered yesterday. Thank you very much. is it possible to purchase online? We have stock i will increase the qty, you may order online. Hello, I'm Noriko Miura. I've just ordered the microphone on Qoo10. I would like you to add my company's name to the address I had already registered. Here's the name: Sakura Sachiko Detective Office. Also, could you let me know when my order (Order No. 291075771) will arrive? Order has been packed and Printed the airway bill and pasted on it, unable to do the amendmends now. 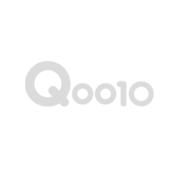 Your order collecting today by Local courier company and i have noticed your memo that requesting Invoice, actually Receipt will be printed on Qoo10 Platform itself. Your Payment receipt is become your official Invoice.